Do you ever think about investing in real estate? 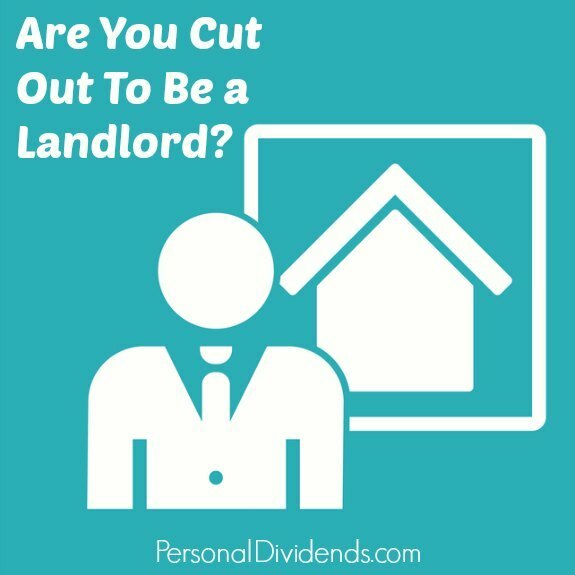 Since buying rental properties is probably the most popular form of real estate investment, you might seriously consider if you’re cut out to be a landlord before taking the plunge. There’s a lot more to being a landlord than simply renting out apartments and collecting rents. Here are some of the questions you need to ask yourself. One of the most obvious aspects about investing in real estate – as opposed to paper assets – is that it’s very much a hands-on effort. When you own property, something is always breaking and needs to either be repaired or replaced. While you can pay other people to do this work for you, that makes it prohibitively expensive, and cuts into your investment profits. In order to be a successful real estate investor, you have to be willing and able to perform most of the necessary repairs. This will require not only time, effort, and patience on your part, but also more than the fair amount of ingenuity. The more creative that you are in coming up with less expensive ways to repair your investment property, the higher your profits will ultimately be. This is one of the uglier sides to being a landlord. Unless the rental market where your property is located is very tight – and in your favor – you’ll have to develop skills as a negotiator. You’ll have to be able to successfully negotiate the best possible rent for your property, and also to make sure that you can control of the terms of your lease. There are a large number of details involved in negotiating any lease. Beyond the basics of monthly rent and the length of the lease, you also have to be prepared to negotiate the number of people living in the property, pets, the number and type of vehicles that will be parked on the property, storage of potentially hazardous material, and even certain types of occupational activities that may take place in the property. Not only must you be aware of these factors, and willing to negotiate them, but you’ll also need the ability to be tough when circumstances require it. How Do You Feel About Tenant Calls on Nights and Weekends? Not only do things break in rental properties, but when it happens it always seems to be at the most inconvenient times. That can mean 7 PM on Wednesday night when you’re sitting down to have dinner with your family, 9 PM when you’re out with friends, or 3 AM when you’re fast asleep. And for the tenant, it will always be an emergency. As a landlord, most repairs, especially the major ones, will be your responsibility. You’ll have to be prepared to accept tenant phone calls graciously, as well as be able to make the determination whether a required repair is an emergency, or something you can wait a few days on. How Good Are You at Handling Conflict? Sooner or later you’ll have a tenant with whom you won’t see eye to eye. If you don’t like conflict, and prefer to avoid it, you may not have what it takes to be a successful landlord. This is just a small sampling of potential conflicts you can have with any tenant. Should one arise, you have to be ready to put on the boxing gloves and jump in the ring. And much like repairs on the property, conflicts always seem to arise at the most inconvenient times. How Much Do You Know About Landlord-Tenant Laws in Your Area? If you’re going to own rental property with tenants, you have to have more than casual familiarity with local landlord-tenant laws. Not only do you have to be familiar with your rights as a landlord, but you have to be well-versed in tenant rights and responsibilities as well. There are all kinds of legal issues that could land a landlord on the wrong side of the law in a dispute with a tenant. At the top of the list is the condition of the property. Landlords typically have certain responsibilities in regard to both the safety and livability of the property that they are renting out. Safety violations in particular work against the landlord, forcing you to comply under the threat of legal action by the tenant. By knowing what the law and ordinances are, you’ll put yourself in a position to make sure that both you and the property are fully compliant. Lack of awareness of these rules could expose you to legal action by your tenants. As I said at the beginning, being a landlord isn’t all about renting out property then collecting rents. Rental real estate is an active investment, that has a lot more in common with running a business than it does with investing in a portfolio of paper securities. You have to be fully prepared to be a landlord before you even consider investing in rental property. Its important to recognize that you can still be in the rental property business and not be a landlord so directly. You can have a company which manages most of these elements, while you provide a fee for the and the costs of maintenance. Of course, you’ll want to investigate that along with the more traditional methods before you make any final decisions.